In his book Enemy Coast Ahead Guy Gibson gives a couple of cursory mentions to pilot Bill Astell, describing him each time as an ‘Englishman from Derbyshire’. As their paths only crossed for a few weeks in the spring and early summer of 1943, that may be all that impacted on Gibson but in fact Astell had had one of the most eventful careers of any of the Dams Raid pilots. He had flown on a number of operations and been awarded the DFC, but all his active service had been in the Middle East and Malta. Born in Knutsford, Cheshire on 1 April 1920, Bill Astell was brought up in Derbyshire’s Peak District. From his schooldays at Bradfield College, he had been an adventurous spirit, crossing the Atlantic by cargo boat, climbing in the Dolomites and spending three months at Leipzig University. With war imminent, he first enlisted in the navy, but then transferred to the RAFVR in July 1939. By April 1940 he had been selected for pilot training and was shipped off to Rhodesia. After qualifying as a pilot, he had hoped to get back to the UK but found himself sent to another training unit before being posted to a Wellington squadron in Malta. There he contracted typhoid, so he didn’t actually fly on active service until September 1941, when the squadron had been posted on to Egypt. On 1 December 1941 he was involved in a horrendous flying accident: another aircraft cut in ahead of him while he was landing, and he fractured his skull and suffered severe burns to his back. Back on operations the next summer, he was shot down over the Western Desert and crash landed behind enemy lines. He managed to evade capture and got back to his base some five days later. For this operation he was awarded the DFC. 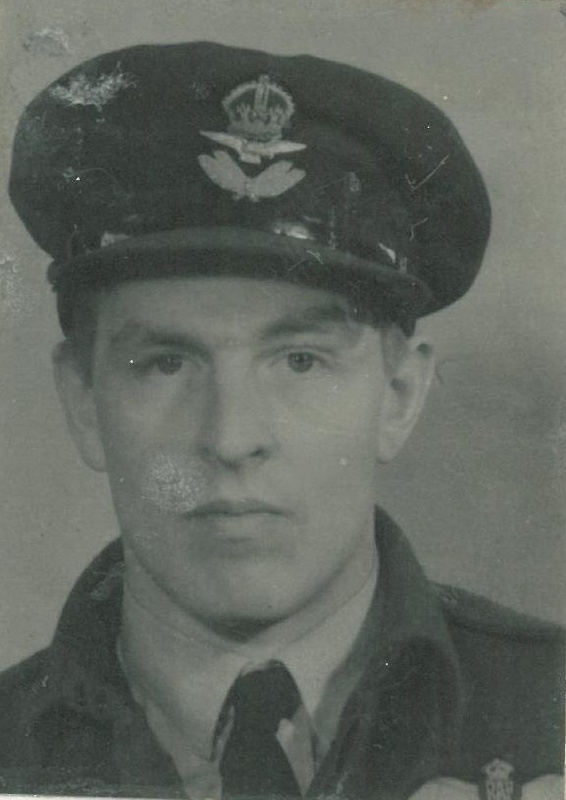 He eventually returned to England in September 1942 and was destined to become a flying instructor, but managed to get himself trained to fly Lancasters and was then posted to 57 Squadron at RAF Scampton, arriving in January 1943. His rather unusual career meant that at this point he had no crew, but he was allocated an operationally-ready crew which had formed under pilot Max Stephenson. Stephenson had been killed shortly beforehand in a raid on Duisberg with another crew. Their first raid was on Lorient in France on 13 February 1943 and they would fly on a number of other operations until 25 March when the news came that the whole of 57 Squadron’s C Flight was to be transferred to a new squadron for a special operation. As they were already at Scampton, this didn’t involve too much disruption, but there must have been much speculation as to what the actual target was to be. Several weeks of intense training was to follow. Astell and his crew were tasked with the new squadron’s first flights, taking photographs of all the major lakes in England, Scotland and Wales, and they were also the first to fly the specially modified Lancaster. On 14 May, those captains who had never made a will were instructed to do so, and Astell made his. It was witnessed by Robert Barlow and Henry Maudslay. None of them would return from the raid. Astell had hit an electrical pylon near Marbeck, where a line of HT cables lay in the path of the attacking force. Gibson and Young’s trios, a few minutes ahead, had noticed them and flown over them. The Upkeep mine Astell’s aircraft was carrying exploded about ninety seconds later, shattering windows for a distance around, although a roadside shrine to St Joseph somehow survived without damage. The next day the bodies of the crew were taken to Borken and buried in the City Cemetery. After the war, they were all reinterred together in the Reichswald Forest Commonwealth War Graves Cemetery. Guy Gibson was certainly a strange man. It was a privilege to see him remembered so finely, earlier this year.